Toddlers love to explore the world on their own once they can crawl or walk. But they also love and need to be worn and be held close to their parents or care-giver. 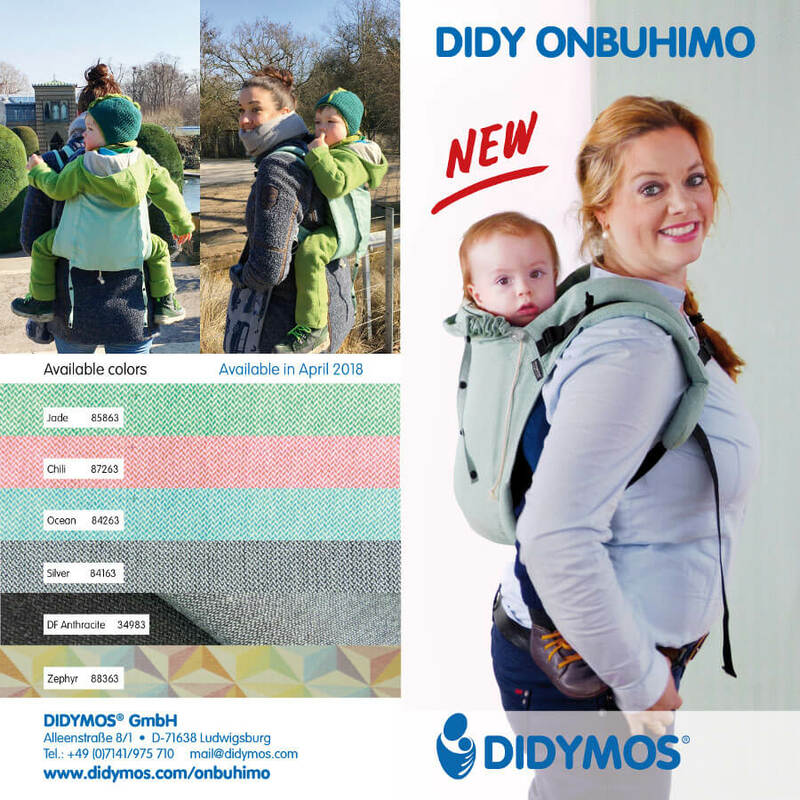 The DidyGo Onbuhimo baby carrier by DIDYMOS is a great way to fill that need. 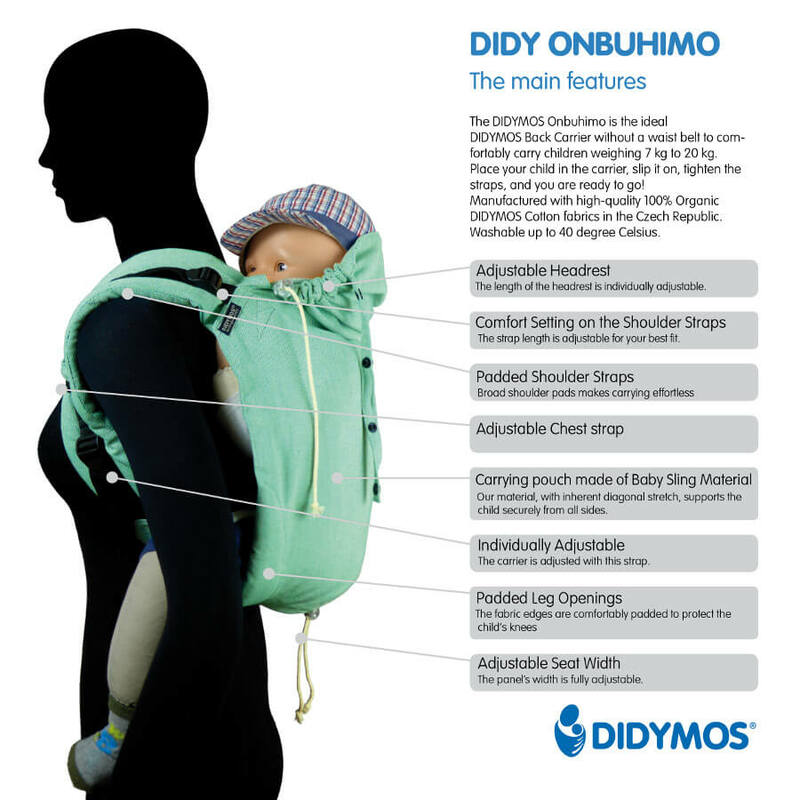 While carried in the Onbuhimo, your toddler will feel comfortable taking a little nap or looking over your shoulder, while you are free to move about. The Onbuhimo carrier, originating from Japan, is worn up high on the back and is designed for babies, toddlers, and children who can sit unassisted. It looks a bit like a rucksack and it is VERY fast to put on and take off. Lightweight, it folds down small and compact for easy storage when not needed – a great option when you are out and about. Without a waist belt and worn on the back, this baby carrier is also a perfect choice for a pregnant mother who can carry her child without putting pressure on her growing belly. The DIDYMOS Onbuhimo is available in 6 standard options with limited edition releases also available. The standard options include the new Standard Twill in Chili, Jade, Ocean and Silver, the Double-Face Anthracite and the colourful Zephyr. Suitable for children who can sit unassisted, weight from about 7-20 Kg / 15-45 lbs. Washable: 30°C, Gentle Cycle. Do not tumble dry. Age of child: From sitting age, about 7-20 Kg / 15-45 lbs. Birdie’s Room offers the complete collection!